There is always something special about the month of November. Apart from it being the birthday of Frodo and Bilbo Baggins, it is the day that after some encouragement from Panathar, that Tollers walked into the Town Hall in Bree, and registered the name "Inklings" as a LotRO guild. It was during 2007, the launch of the game, and with all the busininess and energy of presents at a hobbit's birthday party. The game was alive, but we gave birth to something new...a Kinship that would redefine MMO collaboration, real-world impact to places like Phoenix Children's hospital, and a safe and organic place for friendships to form (in the spirit of who the original Inklings were) insofar to enable lifetime friendships as well as memories, and even shorterm empathy and personal life impact to its members. This month marks our Kinships 11th Anniversay, and if it is not seen in LotRO, it is of no matter because the testimony to what it created endures beyond the outdated, mishaped, and strategically flawed code-base. I would not be writing this blog if we were not still gaming together somewhere (even if it is few of us in just more broad spaces) or at the least, we would not be managing this site, our teamspeak, our twitter, or dealing with Loc's 3am texts if collaboration and comraderie no longer persists. I had suggested that we do a Rift on 50 run, but we only got about 6 total responses. I had even had hopes that the new legendary server could be a catapult, but no...even that LotRO messed up (see my thoughts below). Whereever you are this 11th Anniversary, however long it takes you to see this post, smile in thought that somewhere at that point an Inkling is taking on some tactical gaming confrontation or else having some deep impact in someone's life that they brought everyday to our time before. I also encourage you to share a memory in comments below. In August, I emailed LotRO devs. I still have contact with some of them. I told them that they should really do a throw-back pre-moria server. 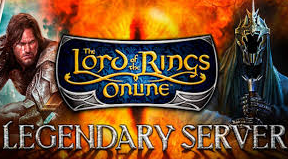 This announcement then came out and the only thing throw-back about it was how disappointing LotRO is...it is the main thing any of us can count on. This new server open to VIP, does really only one thing, it level locks you at 50. It is the CURRENT game, CURRENT CODE, level capped at 50, closed at 50 level areas. This is so disappointing. How much better would it have been to take the game (yes even without RKs, Wardens...and those other silly new classes) on even yes the really difficulty crafting, and run the guild, playing on-level, actually hard content TOGETHER. Before trait trees, before mounted combat, before big battles, before even legendaries, which imo were never implemented correctly. Even WOW is doing a throw-back server. I thought I had lost all my anger over what they did to this game, but I obviously still need therapy bc it all surfaced again. It was a sorry lost opportunity, and telling given that most of the feedback on their forums is negative bc people were scared of losing the player population to this new server. Chronicles of Elyria continues to change the approach to the future of gaming. Currently gonig on is Map voting. I am not aware of any game previously that allowed its supporters choose the starting map (and do so by server so that each server is different). If you have not read up lately on CoE, I highly recommend it. They have another community event coming in the near future it is speculated (out of game), and your engagement now will determine how things really happen in this history. Package Claining, Server Selection, and Settlement and Domain are all said to be coming before year-end. Yes, The county of Inklingshire will be a real place in Elyrai.